When it comes to completing the writing part of the IELTS exam on time. The experts at BAFEL train its students towards completing the task on time. They trained to use complex and compound sentences and are advised to write in passive voice. 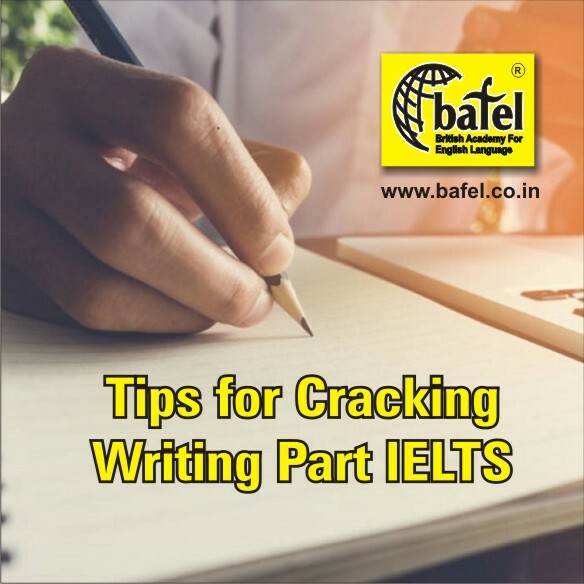 The most important tip given by the BAFEL experts to crack writing part of IELTS Is to use connectors and linkers, this helps to connect sentences and make sense out of each sentence. Students are taught to use advanced vocabulary and make use of appropriate synonyms, in order to avoid repeating words and verbs were ever possible. Before starting the test, every student is trained to make use of POWER planning (PLAN, OUTLINE, WRITE, EDIT and lastly REVISE).